As a potential Executive Condominium(EC) applicant, you may want to understand the process and procedures of applying a new launch EC, to prepare yourself for making a purchase of the brand new EC. All the EC applicants need to be at least 21 years old. At least one of the applicants must be a Singapore Citizen (SC) and the other applicant being either a Singapore Citizen (SC) or Singapore Permanent Resident (SPR). The combined gross monthly household income cannot exceed $14,000. own non-HDB property (overseas or locally), or have disposed of such property within the last 30 month. 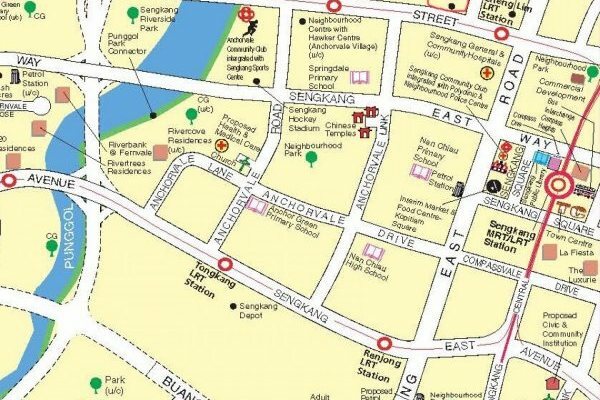 have previously cancelled an HDB application or terminated the Sales & Purchase Agreement (S&P) for a DBSS flat/EC using a CPF Housing Grant, in such case will be barred for 1 year or 5 years respectively. You may focus on evaluating your financialsituation by consulting a banker so you will understand what you can afford..
Talk to a banker and get an IPA to determine how much bank loan and monthly mortgage payments you need to commit. The bank loan amount is subjected to MAS regulations like Total Debt Servicing Ratio (TDSR) and Mortgage Servicing Ratio (MSR), depending on your existing loans and lines of credit. The bank loan can only cover up to maximum 75% of the purchase price. You do not have the option to choose HDB loan and must secure a loan from a private bank. You must pay a minimum 25% of the property price in a mixture of cash or CPF savings (5% Option Fee in Cash, 15% Exercise Fee in Cash or CPF, and balance 5% upon Foundation Completion in Cash or CPF, depending on your bank loan available). If you intend to use CPF Funds, log into your CPF Account via CPF website to check how much CPF money in your account. You should be able to use all the savings in Ordinary Account for EC purchase, subject to your bank loan quantum. You will enjoy CPF Grant of up to $30,000 if you are a 1st time purchaser that did not enjoy any housing subsidies before. You may want to take note that there are incidental costs like legal fees and Buyer's Stamp Duty (BSD). CPF savings can be used to pay for these costs, subject to your bank loan quantum. For EC land launched for tender after 9 Dec 2013, 2nd timers who purchase these EC will be required to pay Resale Levy. You may contact us anytime if you have any doubt on the eligibility and the financial calculations, we will be glad to assist you. After checking your eligibility to purchase and understand your financial capability, you may visit websites on Executive Condominium (EC) for a list of available and upcoming executive condominiums. You may contact developers' appointed Sales team to find out more information about the EC developments. An executive condominiumis bought directly from the private developer and not from HDB. The application process depends if the EC development has officially launched. If it has not officially launch, you may submit your interest by filling up a EC manual application form. The appointed Developers' Sales team will be able to assist and advise you on the application submission. Electronic application known as an e-App will be generated after key into the HDB system. With the e-App submission, the system will capture data of the applicants. A reference number will be generated be used on the booking day. You do not need to pay any administration fee for eApp. Please note that eApp is not a confirmation of EC purchase. You are not obligated to purchase any unit and e-App is a registration of interest. The benefit of completing an eApp is that when the development is officially launched, you will be given priority to view and book a unit before it is open to public sales. On the development's launch, you who have submitted eApps will be invited to an exclusive opportunity to view the show flat and you will enjoy the priority to book a unit on the Booking Day. The price list will usually be released few days before the booking day. The developer may choose manual balloting mode where all the applicants are invited to participate in the balloting on the specific Booking Day and time. Each EC applicants are allocated with a unique ballot number for balloting. We would advise you to shortlist 30 units before the balloting day, just in case your top choice units are booked by buyers in the front balloting queue. After the balloting exercise, the launch will be officially open to the general public. To book and secure a choice unit, you will pay a 5% booking fee in exchange of Option to Purchase (OTP) issued by the developer. Developers will submit the applications and supporting documents to HDB. It will be reviewed by HDB for approval, which usually takes between 4 to 6 weeks. While waiting for HDB's approval, you may start to appoint solicitors to act on your behalf in the purchase transactions. You may also confirm and finalise the details of your bank loan with your OTP. If your application is rejected by HDB, the 5% booking fee will be fully refund to you by developer. If your application is successful, CONGRATULATIONS! Developer will send the S&P documents to you within 2 weeks upon HDB approval. You will need to pay 15 percent of the purchase price at the point of signing the S&P, or within 9 weeks from the date of the Option, whichever is later. You will also pay stamp duty on the S&P within 2 weeks upon signing the S&P. buyers need to pay only 25% down payment of the purchase price at the initial stage (this refers to the Booking Fee and Exercise Fee already paid), while the upcoming 65 percent of the purchase price will be paid just before the project TOP (Temporary Occupation Permit) and the final 15 percent to be paid for legal completion after TOP (usually within 3 years). While the DPS looks attractive, there's usually a 2 to 3 percent premium on the purchase price than NPS. You will be given a choice to select your preferred payment scheme depending on your financial capability to finance the EC purchase. DPS provides an alternative for flexibility in the payments of the EC purchase. Few months before the official TOP, developer will notify you the estimated TOP and to collect keys. You will look forward to move in your new home and enjoy quality living with your family. Now you have a better understanding and idea of how to make EC purchase. Please note that EC Sales are subjected to the regulations of the ECHS Act (Executive Condominium Housing Scheme Act) and developers' contract, eligibility conditions are subjected to changes of the rules and regulations. At any point of time if you have any queries on EC procedures, you may contact us to clarify your doubts. We will be glad to assist you in your EC purchase. You will not be required to pay any fee to the appointed Sales person, the appointed developers' Sales team is paid by the developer to market the EC projects and assist the buyers. I came across your website and wish to be contacted for new property launches in Singapore. Please contact me.